Attorney General K.K. Venugopal said a news article on the Rafale deal was based on stolen documents and an investigation into the theft is on. New Delhi: The government Wednesday told the Supreme Court that documents related to Rafale aircraft deal have been stolen from the Defence Ministry and the petitioners seeking a review of its verdict dismissing all pleas against the purchase of the jets relied upon those documents. 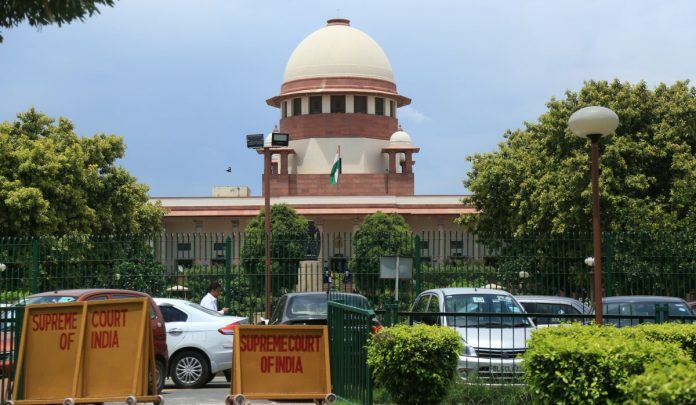 A three-judge bench comprising Chief Justice Ranjan Gogoi and Justices S K Kaul and K M Joseph began the open court hearing during which former Union ministers Yashwant Sinha and Arun Shourie and advocate Prashant Bhushan, who had jointly filed the petition, alleged that the Centre suppressed crucial facts when the apex court decided to dismiss the batch of PILs against the Rafale deal in December. When Bhushan referred to an article written by senior journalist N Ram in The Hindu newspaper, Attorney General K K Venugopal opposed it, saying his write-ups were based on stolen documents and an investigation into the theft is on. Venugopal said the first write up by the senior journalist appeared in The Hindu on February 8 and there is also a story in Wednesday’s edition which was aimed at influencing the proceedings and that amounts to contempt of court. While Venugopal was seeking dismissal of the review petitions and raising objections to Bhushan’s arguments based on the write-ups published in The Hindu, the bench sought to know from the Centre what has it done when it is alleging that the stories are based on stolen material. At this point, the chief justice said that hearing Bhushan did not mean that the top court was taking on record the documents on the Rafale deal. He also asked Venugopal to tell after lunch what action has been taken on theft of documents on the aircraft deal. He sought dismissal of the review petitions and perjury application as they relied on stolen documents and said that today’s The Hindu report on Rafale amounts to influencing hearing in apex court and is itself contempt of court. The bench rose for the lunch break asking Venugopal to apprise it about the whole development related to the stealing of the documents and the investigation conducted by the Centre in the post lunch session. All over the world, journalists accessing classified information to bring important issues to the notice of the public is a fact of life. The US Supreme Court ruled in favour of the NYT in the Pentagon Papers case. If a hard view is to be taken, it would have to be applied consistently. In the present case itself, within a few hours of one of Shri N Ram’s articles, ANI tweeted the rest of the document, which had Raksha Mantri’s minute, recorded after a couple of months. Some channels routinely carry sensitive – often Top Secret – information, which they claim to have “ accessed “. Classified video footage of the September 2016 strikes was also carried by a few channels. Perhaps there could be a dialogue between representative bodies of the media and the government, setting out ground rules. A fair view would be that recourse to the Official Secrets Act would be taken only where operational details are leaked, that actually hurt national security. In my view, even if stolen documents are considered and taken into account by the SC, they do not establish any criminality or corruption. These documents have to be read in conjunction with the CAG report, which says : (1) Bids of two main competitors, Dassault and Eurofighter were not not compliant with DPP norms. ( 2) The bid envisaged co-production of fighter planes at HAL. After a decade long process, the L-1 bidder tells the government that they will not guarantee quality of planes to be produced in India. Why was acceptance of quality not set as a pre-condition while accepting the bids? (3) There was a dispute about no of manhours required. If this is taken into account L-1 bidder no longer remained L-1. This created an absurd situation which rendered the decade-long acquisition process infructous. In the interim period, demand-supply scenario changed and Dassualt was flush with orders from Qatar and Egypt. Whereas need for Rafale was urgent, India was put in a weak bargaining position. All this due to inaction and delay on the part of UPA. Time has value and opportunity cost. If we factor this cost, we may find that the Rafale debate is dead. The Hindu articles have no substance and their arithmetic is wrong. Rafale debate is not dead by a long shot. If Mr Modi had picked up the thread from where UPA had left, Rafale would have been sitting on our tarmacs by now. Not only did he not do that, pick up from where UPA had left, but he also started PARALLEL talks from his office bypassing the IAF negotiating team. Was it because room had to be made for an inexperienced Anil Ambani, that too at the cost of an experienced HAL? Number was reduced from 126 to 36, etc., bank guarantees were deemed not required do Dassault could save on banking costs, then the figure of 30000 crores As I said, this chapter is not closed yet by any stretch of the imagination. A thorough SC monitored investigation is very much needed. Unprecedented things are happening in this case — and indeed, under the present Modi government! But why is the attorney general REVEALING NOW to the court when he is called for the hearing? Are there any notes within the defence ministry in which some officer has complained to his senior about such a theft? When was the complaint made Is such a complaint, if at all it is there, dated BEFORE Bhushan etc filed there case? What internal notes were exchanged within the defence ministry regarding the theft? Which defence ministry officers made any notings on those exchanges? I am sure nothing of this sort must have transpired. If some documents are stolen or destroyed, then on what basis can the government say that the allegations of Prashant Bhushan etc are not justified? And most important, how does the government explain the elephant in the room — Anil Ambani??? And the reduction of the number from 126 to 36? Obviously the government is giving lame excuses, on this doubt alone the SC should order a thorough investigation.